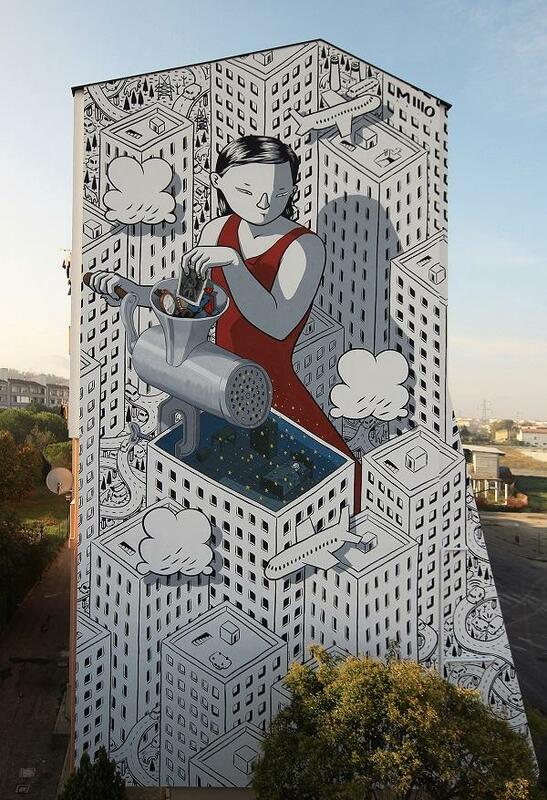 Francesco Camillo Giorgino, known as Millo, is active in painting murals worldwide in/for different countries and cities from Rome to London, Barcelona, Vienna, Shanghai, California, Chicago, Berlin, Helsingborg, etc. 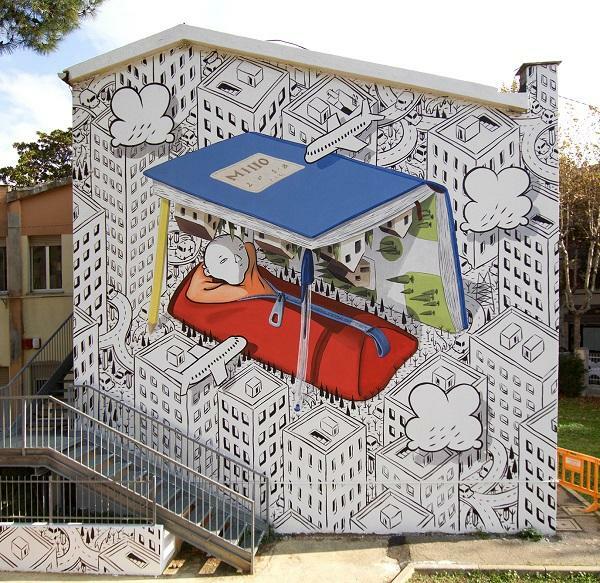 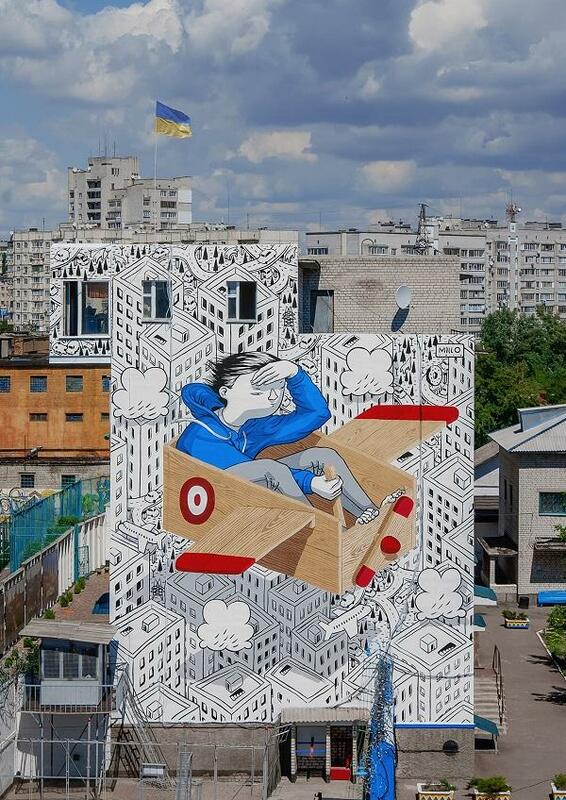 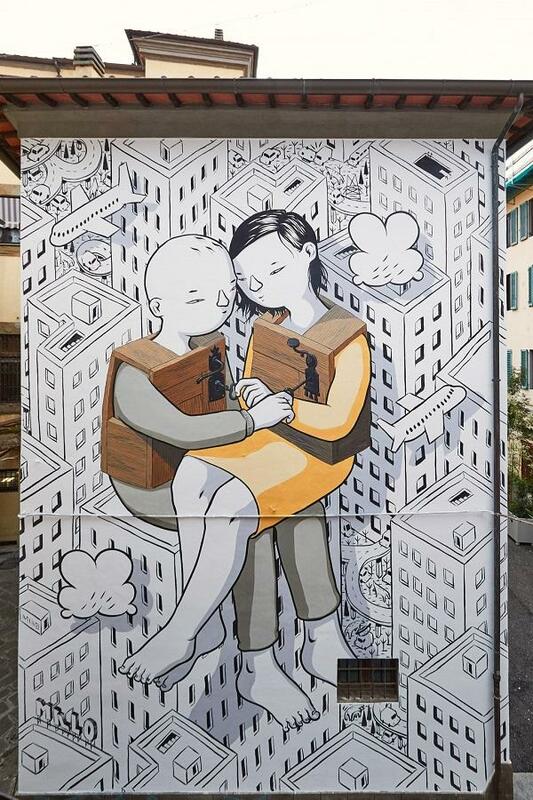 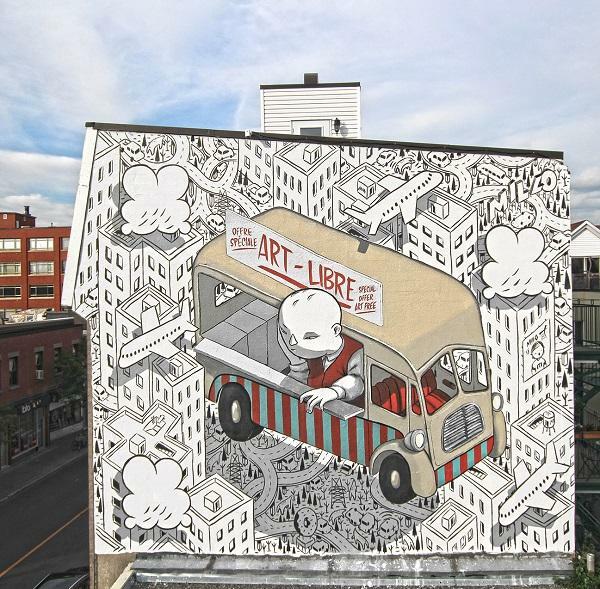 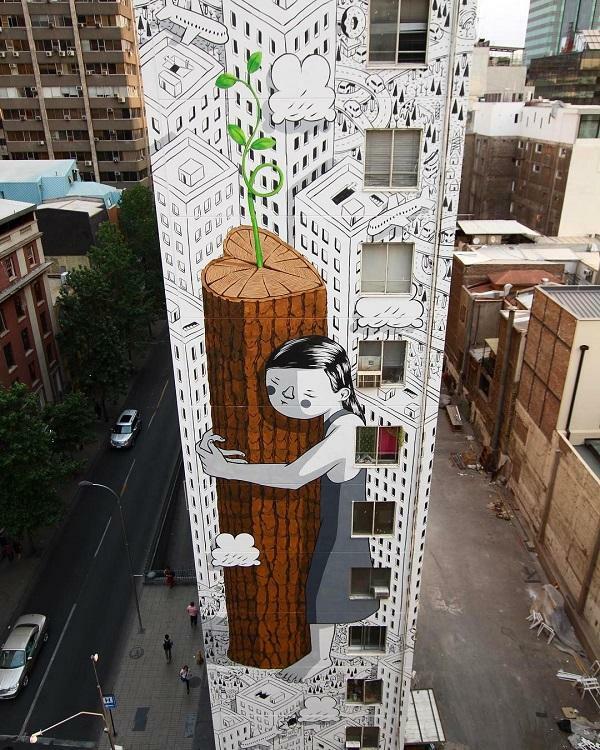 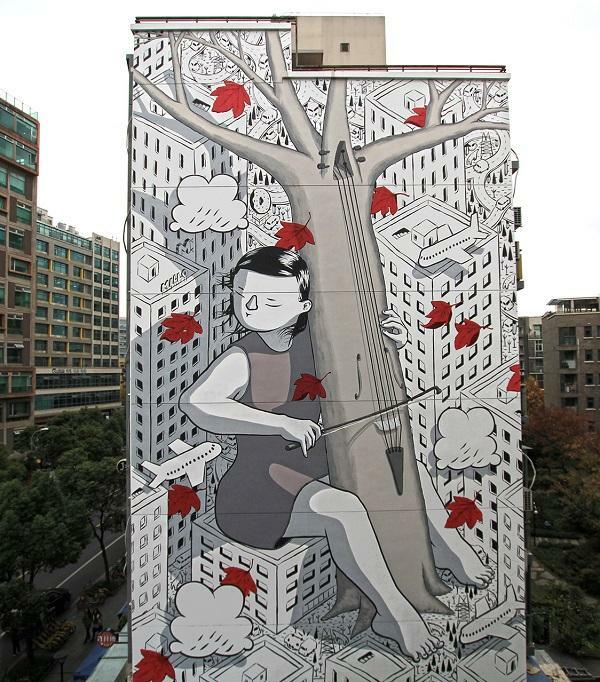 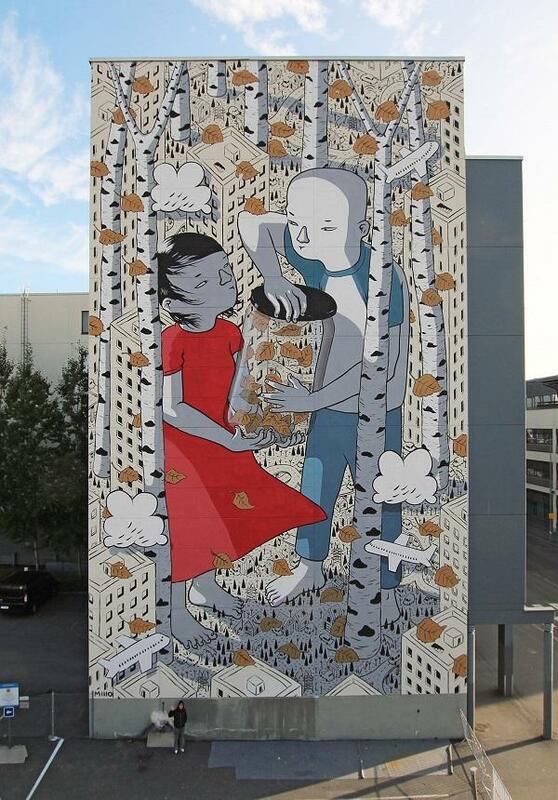 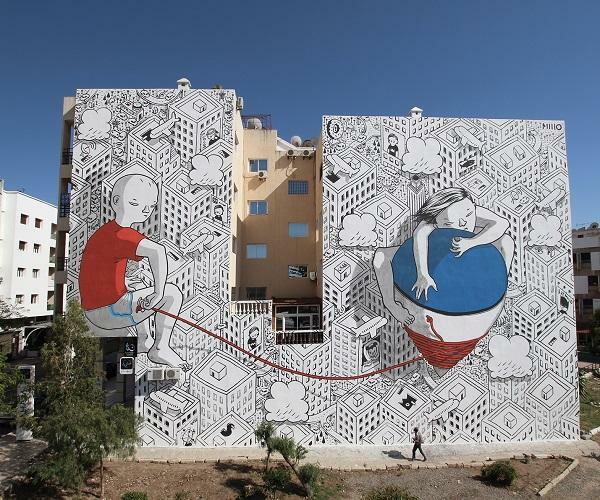 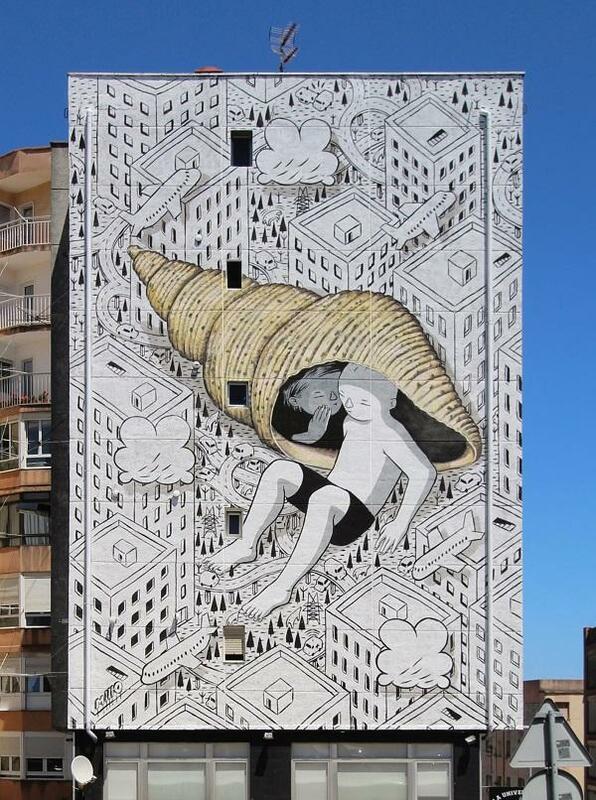 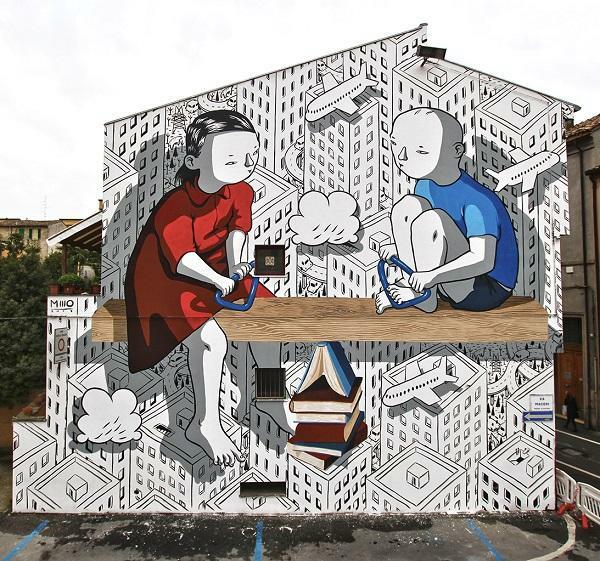 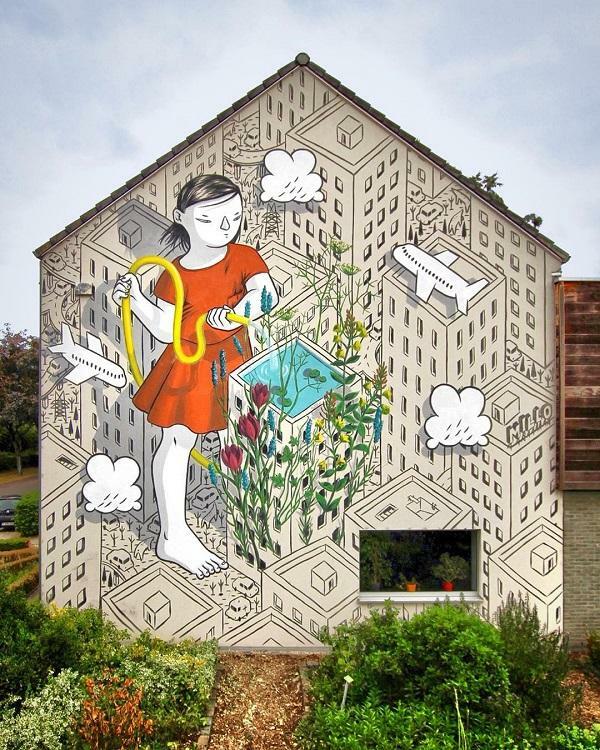 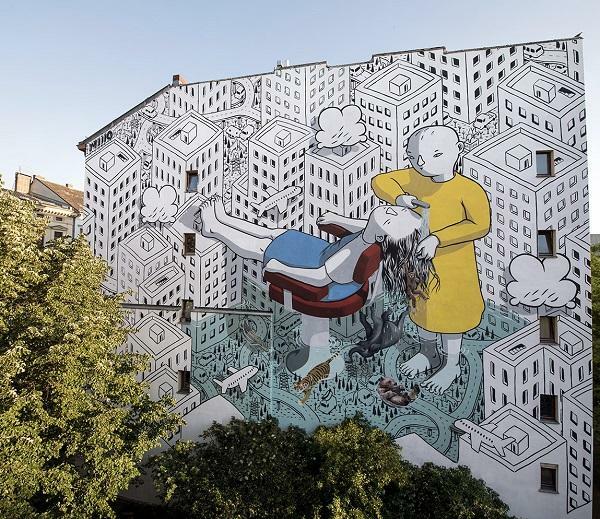 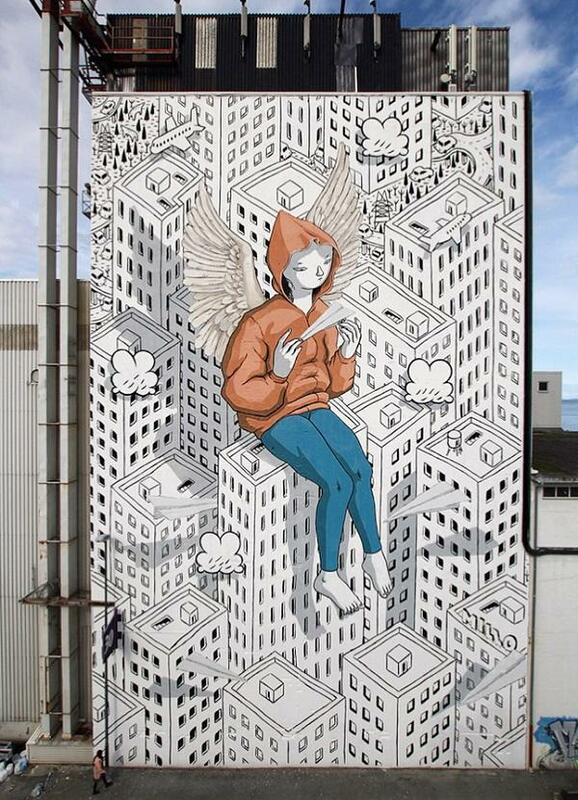 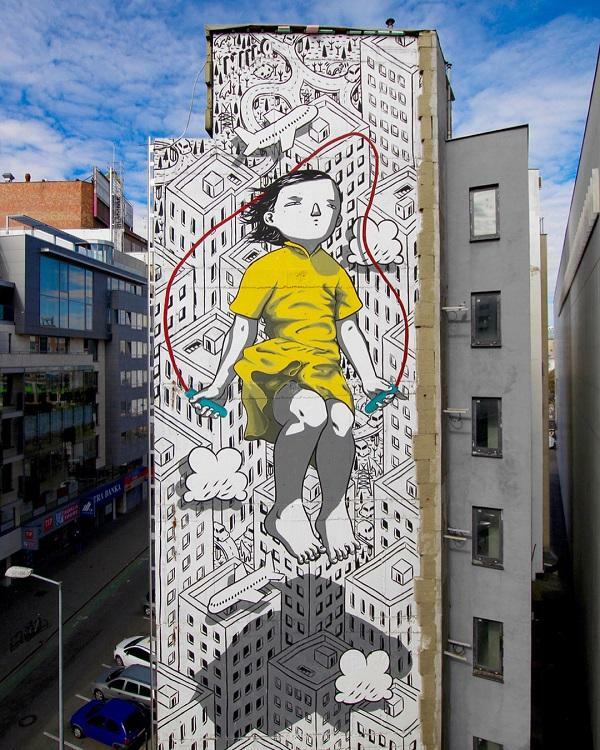 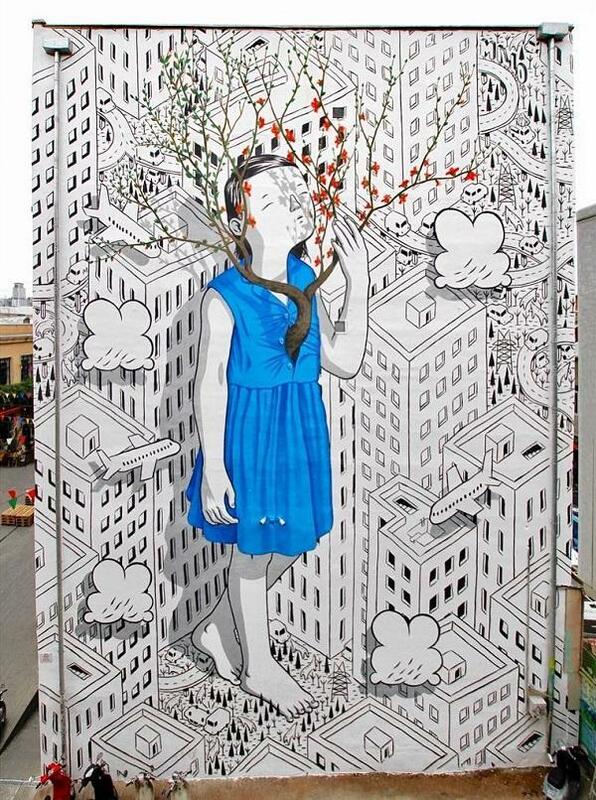 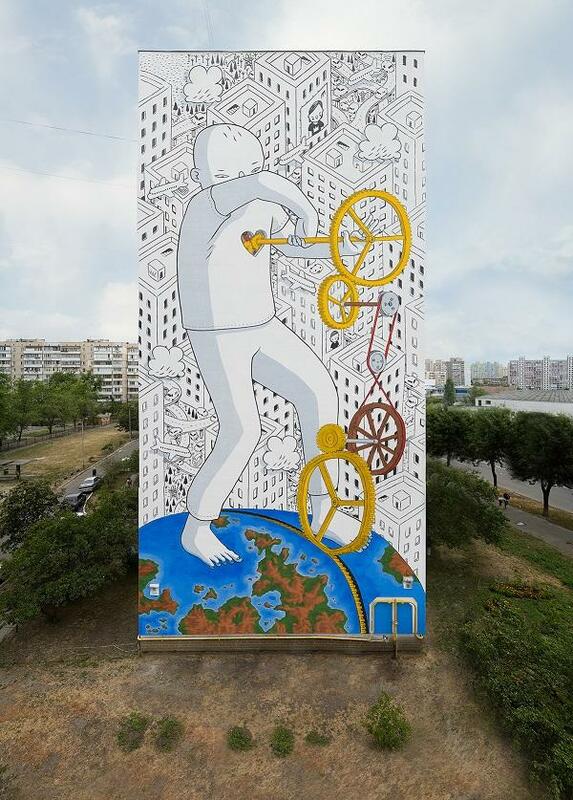 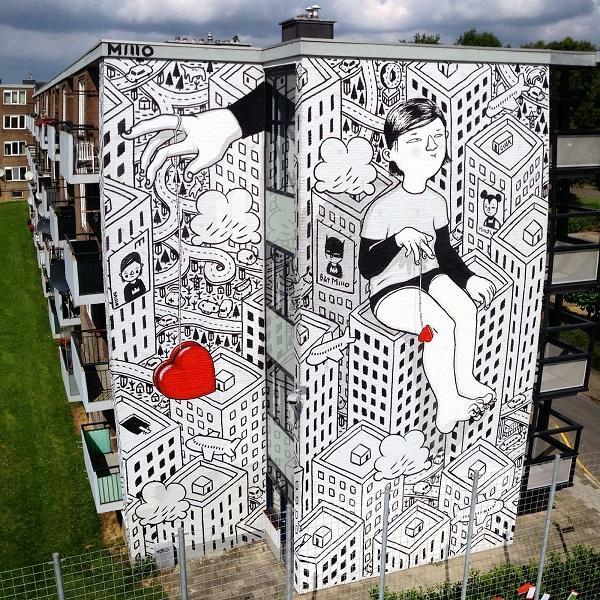 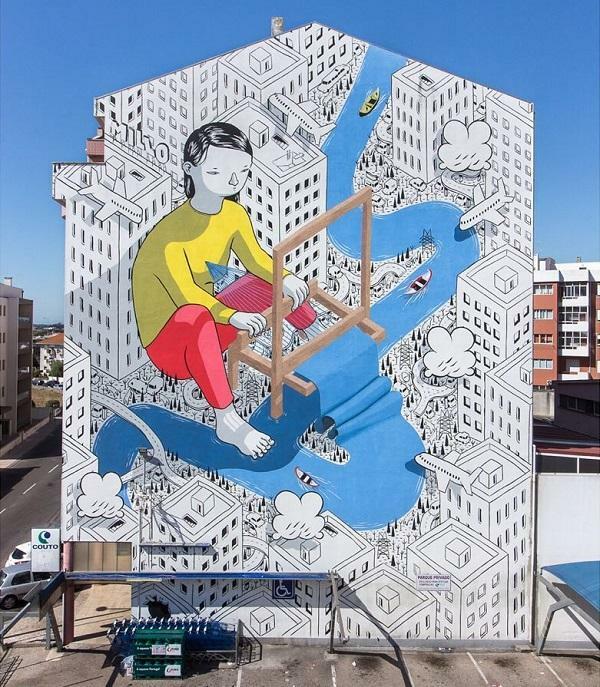 Here is a collection of Millo’s street artworks featuring large-scale murals with combination of illustrative characters and building-block like urban buildings. 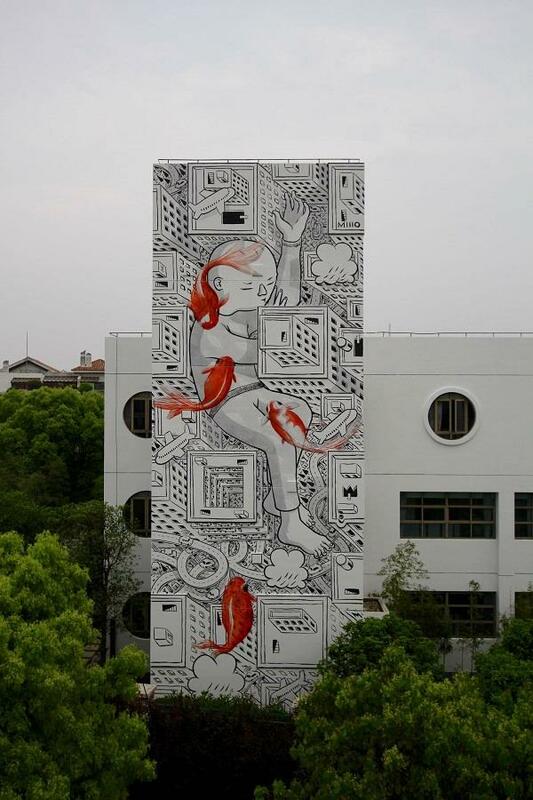 The natural elements played by the characters, such as trees, earth, heart symbol, fish, reminds urban people of environments around.